upper reaches of the Georgian Quarter. Ultimate 100 Best British Hotel 2015. 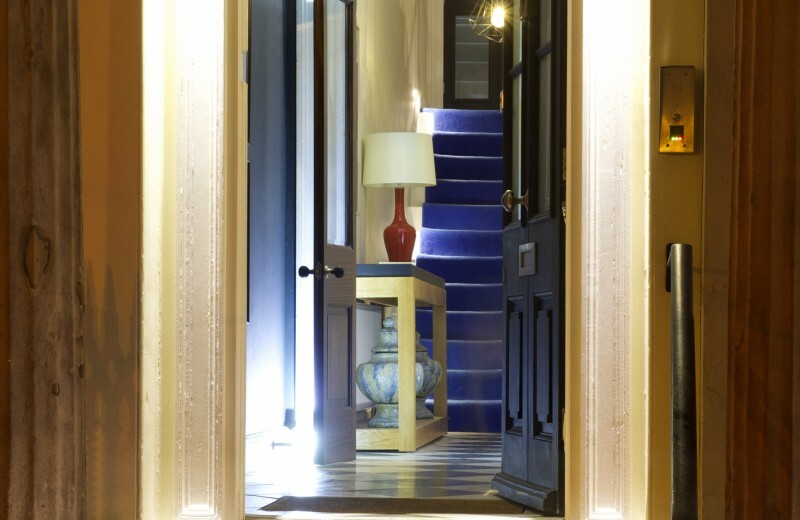 Boldly designed luxury B&B in Liverpool where everything has been carefully selected and makes a statement. Liverpool is in the midst of a total renaissance. Historically, the port city connected to the entire world, now, an outwardly looking vibrant city, still ineluctably attracted to the rhythm of life that encircles great horizons. Liverpool is full of events, people and places that convey this heady optimistic burst of life! 2 Blackburne Terrace, set high up on the hill amid an unexpected enclave of grand Georgian architecture, delicious places to eat and imaginative cultural ‘happenings’, is a lovely townhouse, now set to provide inspirational accommodation within which to relax, unwind and enjoy exquisite rooms, a fabulous breakfast and a slightly rare, dreamy atmosphere. If you like it …. you will love it ! We welcome you to our door….